Recent research has shown that about a quarter of home-movers leave themselves open to some form of identity theft when they move, simply by failing to redirect their post promptly. Indeed, almost half of all identity theft cases involve a previous address, and 70% of new occupants receive mail addressed to a past occupant. This often includes sensitive personal information, which can be used by a fraudster to obtain credit in your name. As some organisations can take several weeks to amend their details, we suggest you start to compile a list of those who will need your new address as soon as you begin marketing your property. This might include schools, the Inland Revenue, banks, credit card companies, the Local Authority, the DVLA, Premium Bonds, clubs, etc.. Then, as soon as you have a moving date, contact them formally with your new details. 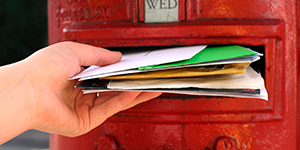 Arrange the Royal Mail redirection service for at least a year and register with the Mailing Preference Service to have your name taken off most direct mailing lists. This will ensure mail-shots from lenders aren’t sent to you at your old address. It’s also a good idea to do the same at your new address, in both your name and that of the previous occupier – if only to avoid heaps of junk mail landing on your doorstep! If you are concerned that you could be at risk from identity theft, you can set up a credit monitoring service with companies such as Experian, Equifax orCheckMyFile.com which will alert you to any significant changes to your credit report, so you can take any necessary action as soon as possible. We hope you find the above useful, and don’t forget –we’re here to help you with your move, not just your sale!